We've focused on just one thing in this release - usability. After getting tons of feedback from new users we decided to put new feature development on hold and make the existing ones easier to use. We've gotten rid of a few buttons that users didn't really need. Now there's tons of space for actually viewing your plan - space that used to be occupied by various panels and toolbars. And of course shiny new buttons for everything. Gigantt is all about fast keyboard shortcuts for rapid editing, but over time we've really been neglecting the mouse, and it turned out that quite a few users aren't big fans of keyboard shortcuts. So we've really streamlined the mouse. Now a simple drag operation can both create tasks and draw arrows between them. Gigantt is now officially supported on the Mac and is tested on both Safari and Chrome. There isn't much difference between the PC and Mac versions, except for the keyboard shortcuts. If you're a mac user you can print out the keyboard cheat sheet. You can change the estimate of several tasks at once. R: Assign to a new resource. T: Change the time estimate. N: Add a note to the task. 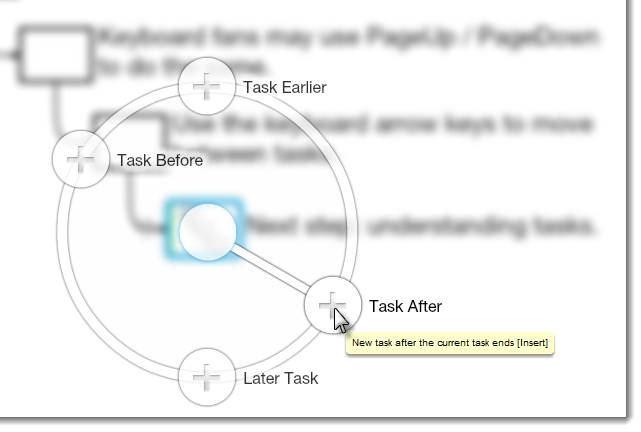 Double-click outside any task (on the white space) to zoom-out. 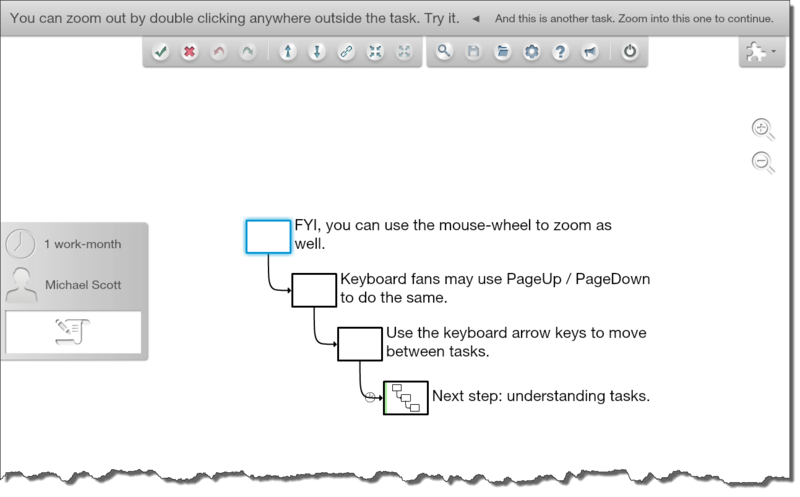 Double-click on an arrow to "split" it (insert an intermediate task). If you haven't already, go sign up. Feature Sneak Peak - "The Bubble"